Tickled to Teach: Love my new look! After scouring the Internet for hours trying to figure out how to make my blog look cute, I decided to bite the bullet and pay someone else to do it. Altering HTML code is just beyond my scope of talent at the moment! 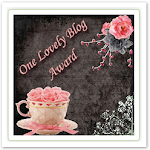 I'm loving my new blog design thanks to Dreamlike Magic. Anybody out there have any tips or tricks for a new blogger? I'd love to hear them if anyone out there is reading this. Thanks for the encouraging comments, Heather. Heading over to your blog right now!